With all good intentions, I wanted to post another Thirsty, and more Abruzzo Adventures, however, the weather here has changed drastically, and with that, the want to “hunker down” as it were, wrap oneself in a warm blanket and sit in front of the fireplace with a glass of something a little warmer. Gone are the days of patio whites and chilled rosés and thoughts now turn to something that will warm from the inside out! My evening beverages have turned from white to red, and from red to fortified! I’ve been enjoying more Port and Amaro (bitter in Italian) and with the white stuff already coming down today, I know what I’ll be having later on this evening, after I’m done work. 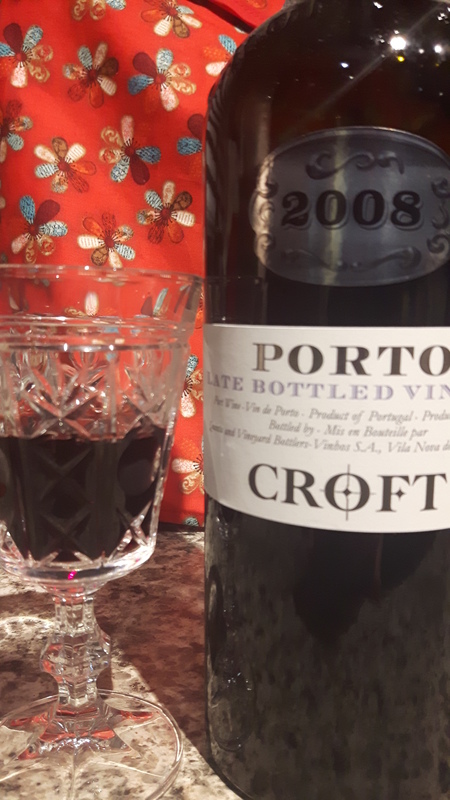 Something that is quite inexpensive, but also very good is LBV Port – also known as Late Bottle Vintage, it’s the more affordable Vintage Port option! This is a ruby style of port, although as opposed to Vintage Port that is bottled without filtering and meant to age in bottle, LBV is typically filtered before going into bottle, and doesn’t develop the copious amounts of sediment like vintage port. It is DEEP purple, mouthfilling and tannic. But of course, it’s sweet, because the fermentation process is stopped before all the sugars have been consumed by the yeast. But at 20% abv, how does it get there? Port is a fortified beverage, meaning a neutral grape spirit or brandy is added after fermentation to increase the alcohol content, yet the sweetness remains. It’s good for after dinner, goes well with a cigar (if you’re into that), or many stinky cheeses. In fact, one of the most famous food and wine pairings is Port and Stilton cheese. If you’ve never had the pleasure of enjoying Stilton cheese, having had Bleu cheese, just personify it and amp it up a bit, and viola…Stilton! It’s at least worth it to try the pairing, so you can say that you did! Sitting in my cupboard just waiting for me to return home this evening is Croft 2008 LBV Port. Croft is part of the Taylor Fladgate group of companies, and as many already know, have been around for centuries! As previously stated, the colour is deep purple, and lots of black fruit flavours and aromas (think black plums and blackberries mostly) along with some smoke, cigar box, cedar, and even hints of toasted pecans and almonds. And of course, at 20% abv, it warms you all the way down. It’s meant for sipping, so do take your time and enjoy it! It sells for around $23, a nice “I can try it” price! Another warming beverage is Amaro. Used by the Italians as a digestif, I’m convinced it works. I’ve become a believer in Amaro! Europeans eat late, and for us North Americans (this particular North American anyway) it plays havoc with my system. Finishing dinner at 10:30 and 11 pm at night just doesn’t work for me, and I typically go to bed with a big stomachache! But with all of these secret herbs and spices, it seems to work wonders, and I can go to bed without feeling as though I’ve eaten an entire animal, horns and all. 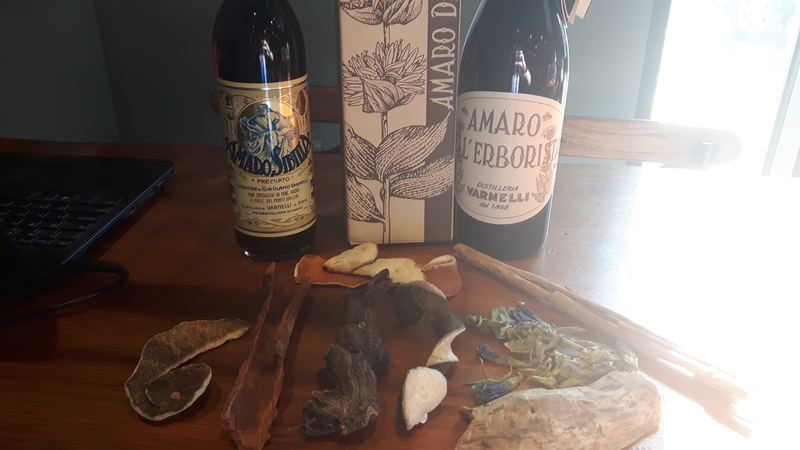 One of the most historical distillers in all of Italy is the Varnelli family, and like all amaros, the recipe is secret. 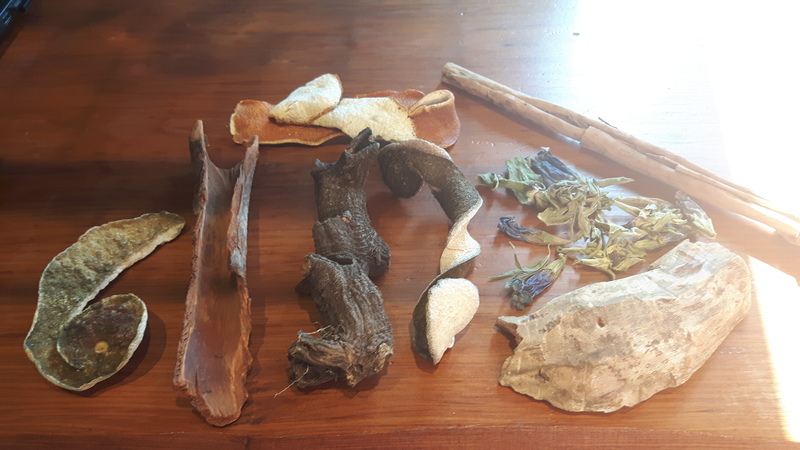 The cool thing was, even though I never got to know specific amounts, I got to smell all the herbs and spices that they DO use, in their natural state. The Amaro Dell’Erborista is distilled from honey which makes it even more unique. Full of cinnamon, nutmeg, orange peel,and just hints of anise, this too, warms all the way down. It also sells in a 1L bottle, which means you get a little more bang for your buck. On the shelf for $65, but this bottle will last you for a long time, and your gut just might thank you for it! Some delicious options for you to ‘hunker down’ with and stay warm with this fall and upcoming winter! Salute! This entry was posted in Education, wine and tagged ageing, amaro, autumn, bitter, Croft, distilling, fall, Fladgate, fortified, herbs, honey, LBV, Port, recipe, Ruby, secret, sediment, spices, spicy, sweet, Varnelli, vintage, warm, winter. Bookmark the permalink.